Mouthguards or gum shields should be worn by anyone playing a contact sport. 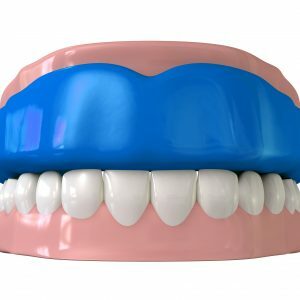 Impressions of your mouth will be taken to create a bespoke mouthguard to better protect your teeth and gums. We offer a wide range of colours and designs. In addition, we can also offer you the same mouthguard design we supply the Ospreys Rugby, with the logo of your choice and/or personalised with your name.